This squad has been around since the beginning of the 90's. Originally a young thrash metal pack from Chile that moved completely to Europe around the turn of the millennium to have it closer to you. Of course the roots are still to be heard in their production. This band has shared the stage with such icons like NAPALM DEATH, KREATOR, EXODUS etc. There is also an ex-member of EXTREME NOISE TERROR in the current line-up. The founding member of CRIMINAL can be found in the current line-up of LOCK-UP too. 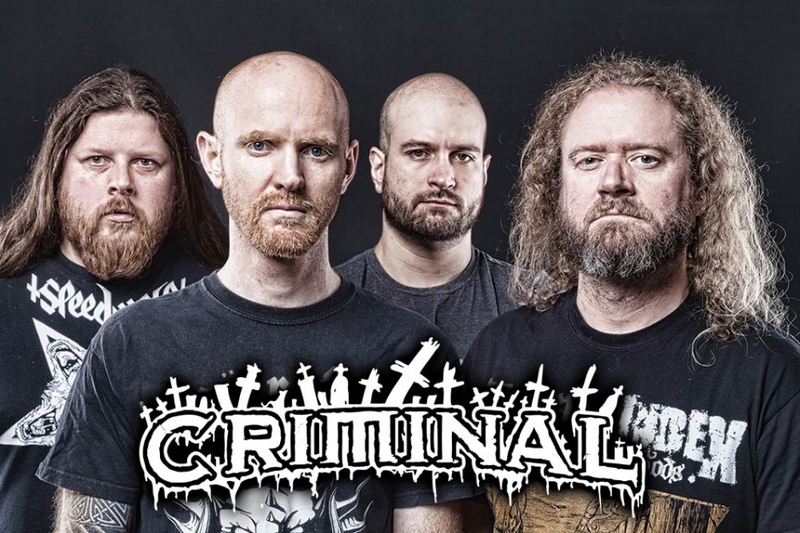 All in all an uncompromising and energetic thrash / death performed by CRIMINAL will make many heads bang at the upcoming volume of Obscene Extreme Festival!! !